Owners of gaming-related forums take heed! 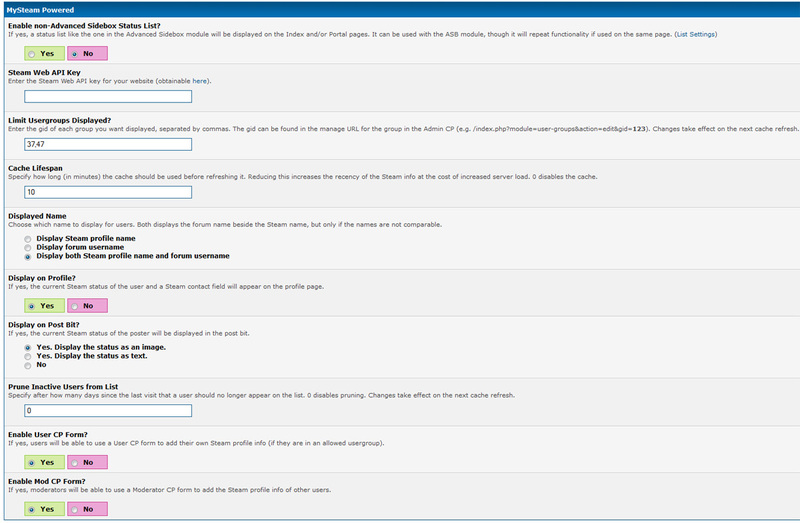 Here be a plugin for the MyBB forum software that seamlessly integrates features from Valve's industrious gaming client with your forums. Also integrates with Advanced Sidebox (https://github.com/WildcardSearch/Advanced-Sidebox) if installed. Uses the Steam Web API to display current Steam status (online, offline, what games they're playing, etc.) and contact information for all users who have integrated their Steam accounts. 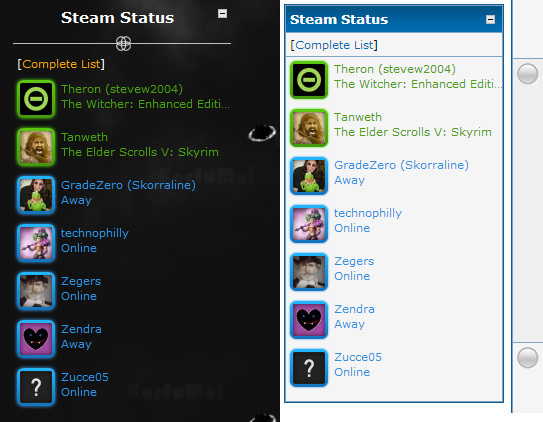 A status list (modeled on Steam's built-in friends list) that lists all integrated forum users currently on Steam, including their avatars, their names, and their current statuses. 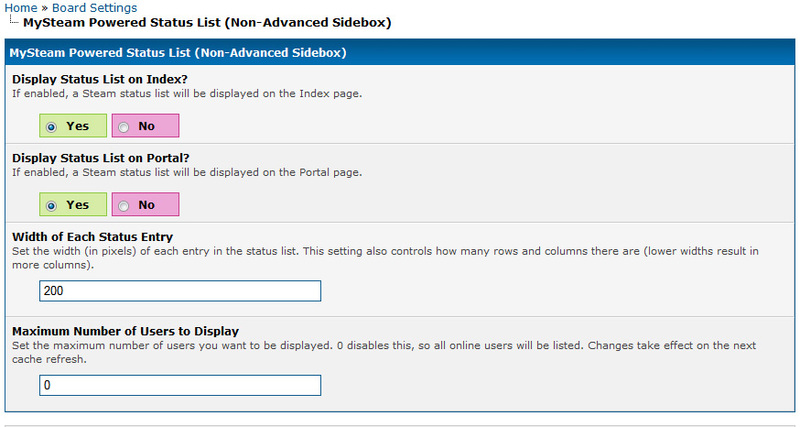 This can either be displayed on the Index or Portal pages, or displayed in a sidebox on any page if you have Advanced Sidebox installed. Shows a Steam status icon on the post bit (or status text if preferred) which changes based upon the user's current status. 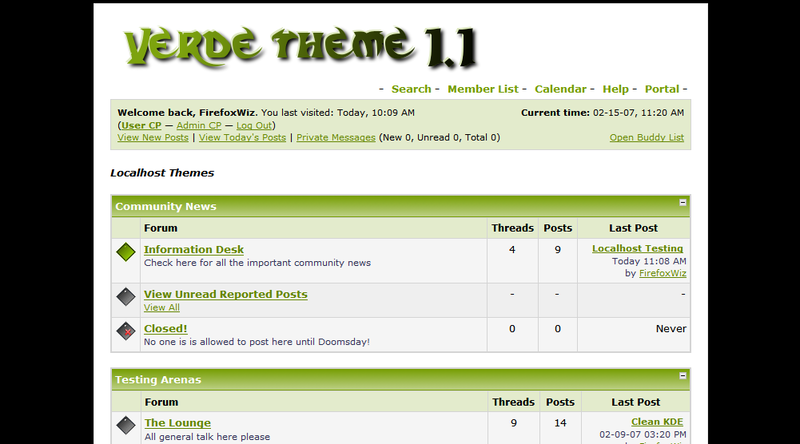 Also reveals the full plain text status (e.g. what game the user is playing) when the mouse hovers over the icon. 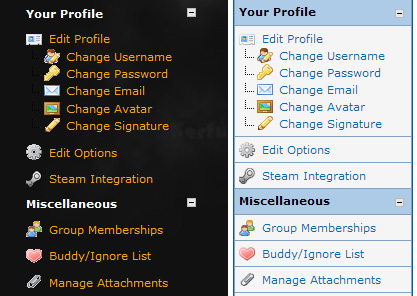 Shows the user's current Steam status and a Steam contact field under Contact Details in the Member Profile page. Ensures minimal impact on forum performance by using a speedy cURL-based method for contacting the Steam network and integrating with the MyBB cache to reduce the number of requests needed. 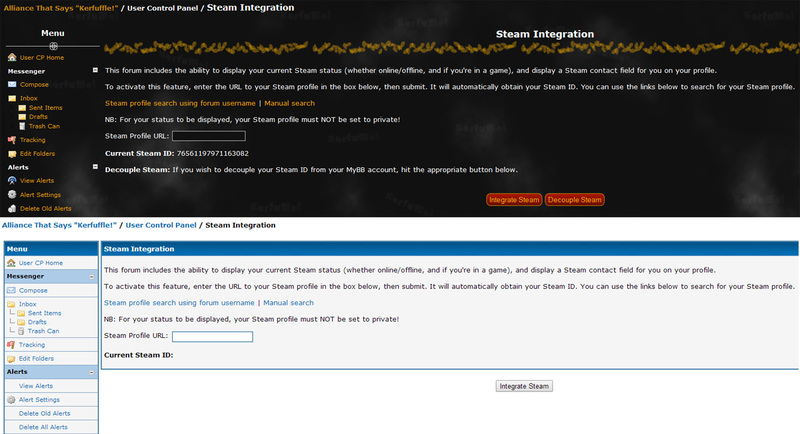 Includes a new User CP form for users to use to integrate their Steam accounts. 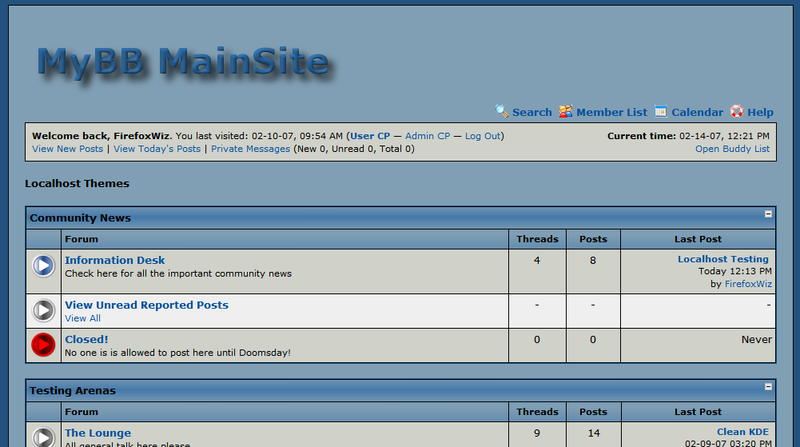 Also includes a new section on the Moderator CP Profile Editor to allow moderators to integrate Steam for their users. 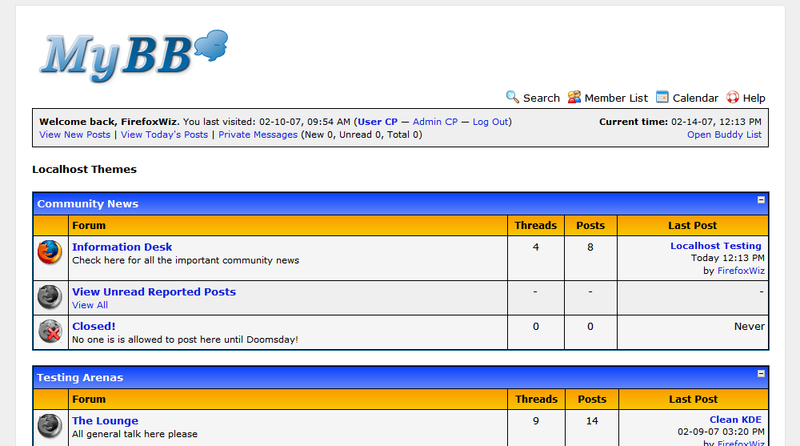 Which users are displayed (and can see the User CP form) can be filtered by allowed usergroups, and by how long it has been since they last visited the forums. Advanced Sidebox edition includes support for AJAX automatic updating of the status list without needing a full page refresh. Highly customizable. Nearly every feature can be modified to your liking.